Dodgeball is a game in which players try to hit other players on the opposing team with balls while avoiding being hit themselves. There are many variations of the game, but generally the main objective of each team is to eliminate all members of the opposing team by hitting them with thrown balls, catching a ball thrown by a member of the opposing team, or forcing them to move outside the court boundaries when a ball is thrown at them. 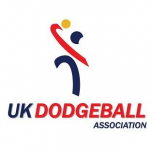 Dodgeball is usually 6-a-side with a minimum of 2 female players on the team. There are 6 balls, if you hit someone with a throw, they are out. If they hit you, you are out. If you catch a throw you get a player back in and the thrower is out – a double swing! Head shots don't count, and there are certain penalties for this. The best thing about dodgeball is that you can play for free. All you need is some space, comfortable clothes and footwear, 5 balls and some friends. Develops strength in your arms and shoulders from throwing the ball. Develops power in your legs from jumping, dodging and weaving and flexibility to twist and turn out of the way. Develops quick reflexs and eye hand coordination as you block, catch and throw accurately while moving. You'll need a six dodgeballs, the official rules, court dimensions and / or you'll want to find a league.